RCR's NASCAR Nationwide Series History at Watkins Glen ... 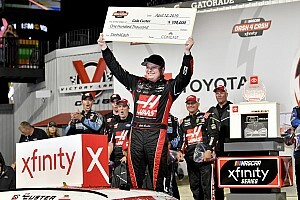 In 14 previous NNS appearances at Watkins Glen International, Richard Childress Racing has acquired one win, five top-five and eight top-10 finishes. The organization has led 111 laps at The Glen and has completed 96.7 percent of the laps attempted at the 2.45-mile road course (1,112 of 1,150). This Week's Applebee's/Potomac Family Dining Group Chevrolet at Watkins Glen ... Tim George Jr. will pilot Chassis No. 302 from the Richard Childress Racing NASCAR Nationwide Series stable in Saturday's Zippo 200 at The Glen. This RCR Chevrolet was formerly raced by Jeff Burton in the NASCAR Sprint Cup Series, prior to being transformed into a NNS No. 21 Applebee's/Potomac Family Dining Group Chevrolet Impala. He drove this chassis in three NSCS events last year: Texas Motor Speedway in April (started sixth; finished 12th), Dover International Speedway in May (started 17th; finished second) and Richmond International Raceway in September (started 25th; finished 13th). Watkins Glen Stats ... George will make his first NNS start at Watkins Glen this weekend in Saturday's 82-lap main event. Although, he has never raced in the series at The Glen, George has two previous starts there in the NASCAR Grand-Am Rolex Sport Car Series where he earned an average starting position of 20.5 and an average finishing position of 24.5 at the upstate NY road course. In addition, George claimed victory at WGI in the 2006 Skip Barber Racing Series Sportsman division event. No Stranger to Road Courses ... George was an avid road course racer before he began competing in stock cars full time. Career highlights in Grand-Am Rolex Sports Car Series GT competition include finishing second in the Rolex 24 at Daytona in 2009. 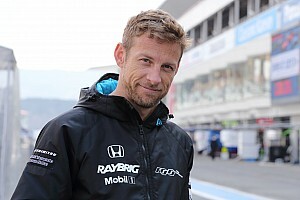 He also won the Rolex Series MESCO Building for the Future Rookie of the Year Award and Bob Akin Award, with one class victory at Thunderbolt Raceway at New Jersey Motorsports Park and seven podium results, placing fourth in GT driver standings in 2008. He ran one road course race earlier this season in the ARCA Racing Series presented by Menards at New Jersey Motorsports Park in May. 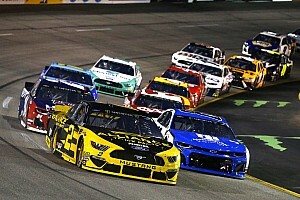 He started the 67-lap contest from the sixth position and finished fourth after leading three laps and contending for the win. Hometown Track ... George will travel back to his Northern roots this weekend as the Nationwide Series heads to New York. The Watkins Glen, N.Y.,-based facility is four hours from George's hometown of New York, N.Y.
George in NNS ... 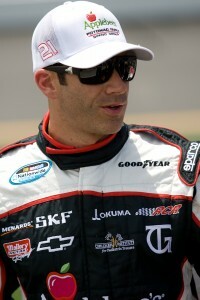 This weekend will mark George's third NNS appearance in 2011 and the fourth of his career. George's two previous NNS starts this season came at Talladega Superspeedway in April where he started 21st and finished 36th and at Daytona International Speedway in July earning a 21st-place result after starting 16th. Kennon Calling the Shots ... Gere Kennon will return to the top of the pit box and serve as crew chief for the No. 21 Applebee's/Potomac Family Dining Group Chevrolet this weekend. Kennon is George's crew chief in the ARCA Racing Series presented by Menards who guided George to his first-career victory in June at Pocono Raceway. Kennon worked with RCR's NNS program in 2010 on a limited basis with drivers George and Clint Bowyer. What are your thoughts on Watkins Glen International? "It will be good to get back in a Nationwide (Series) car. Watkins Glen is the site of my first win in the Skip Barber Series. I qualified on the pole and won. That was a real thrill for me. 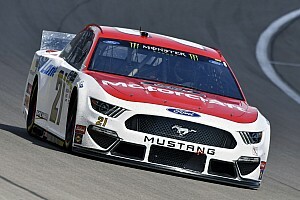 I've run the Nationwide Series car on a road course before (Road America) but not the new car, so it will be interesting to see how it handles. This will be the first road course for one of RCR's new NNS cars, but I'm really confident in Gere (Kennon) and how he and the team have prepared the car. I've had really fast cars all year long. My goal is to finish in the top 10." Will your previous experience on road courses help you this weekend at Watkins Glen? "I've raced at The Glen in the Rolex Series, which runs the full course. 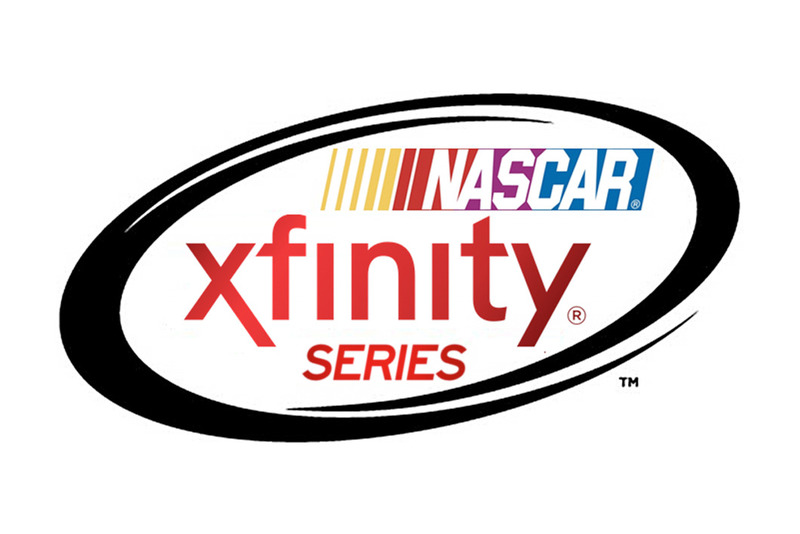 NASCAR runs the short course, which shortens the lap time. While you're almost busier with the short track, it really takes away from the more technical part of the course. That's probably the biggest difference. You have so much more down force, mechanical and aero with the Rolex car. In the stock car, you're fighting for grip all afternoon." What is the biggest difference of racing on an oval compared to a road course? "The difference in the set up of the car is huge. On a road course car, if you let go of the steering wheel it will go straight. If you let go of the steering wheel on an oval car, it will turn left. You're more aware of when you're braking and, of course, shifting is a big factor in finding your rhythm. You're always busy, so endurance and being in shape becomes much more important. There are a lot more chances to go off the course, especially if you're hit by another driver. If that happens, then you have to be able to recover quickly. Other than that, it's still four wheels on the ground and a steering wheel." Drivers Jeff Burton , Skip Barber , Clint Bowyer , Eric Gilbert , Bob Akin , Tim George Jr.